It is the first lawsuit against an animal research facility under California’s state cruelty law and Unfair Competition Law. The Animal Legal Defense Fund and Stop Animal Exploitation NOW! (SAEN) are the only animal protection organizations to have sued the company. Santa Cruz Biotechnology will pay an unprecedented penalty—$3.5 million—for animal welfare violations in a settlement reached May 19, 2016 with the United States Department of Agriculture’s (USDA) Animal and Plant Health Inspection Service (APHIS). The settlement comes as the Animal Legal Defense Fund continues to litigate its groundbreaking lawsuit against the company, filed on behalf of Stop Animal Exploitation Now (SAEN) in January 2013. It is the first lawsuit against an animal research facility under California’s state cruelty law and Unfair Competition Law. The Animal Legal Defense Fund and SAEN are the only animal protection organizations to have sued the company. APHIS filed complaints against Santa Cruz Biotechnology in 2012, and again in 2014 and 2015 after the Animal Legal Defense Fund filed suit, for allegedly failing to maintain the basic standards of the federal Animal Welfare Act (AWA) on multiple occasions, including overdrawing blood from sick animals and denying veterinary treatment to critically ill animals suffering from bites and tumors. The settlement also revokes the facility’s dealer license and cancels its registration as a research facility, meaning the company can no longer use animals regulated by the AWA. Unfortunately, the AWA exempts mice, rats, birds, and cold-blooded animals from its protections, so it is possible that Santa Cruz Biotechnology will continue operating an antibody production facility that exploits these animals, dodging USDA oversight. The California Court of Appeal recently heard oral argument in the Animal Legal Defense Fund’s appeal of the dismissal of the 2013 lawsuit. 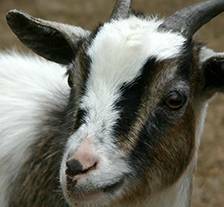 The appeal urges the Court of Appeal to reinstate the case, notwithstanding the USDA’s federal action against Santa Cruz Biotechnology, because the state animal cruelty laws apply to all animals, including those that the AWA excludes. Thus, the Animal Legal Defense Fund and SAEN’s lawsuit under state law becomes especially significant if Santa Cruz Biotechnology intends to continue producing antibodies from mice, rats, and cold-blooded animals, as it would be the only remaining bulwark against Santa Cruz Biotechnology’s callous cruelty to animals left out of federal law. “The settlement is a step in the right direction, but the Animal Legal Defense Fund will continue to find innovative ways to fight for the animals not currently protected under federal law,” says Wells. A ruling from the Court of Appeal is expected within the next two months.